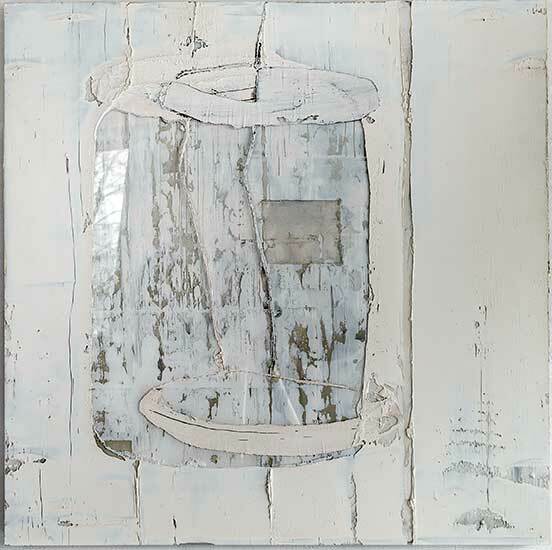 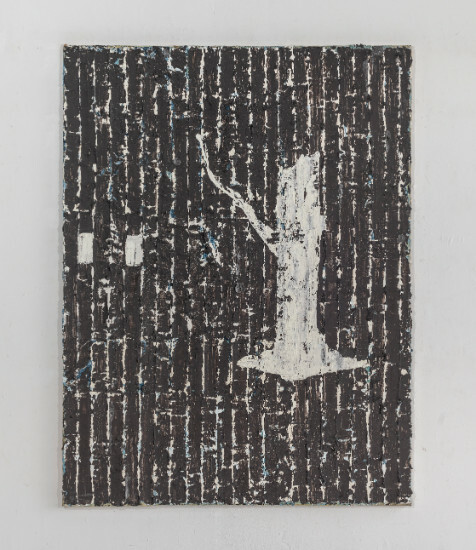 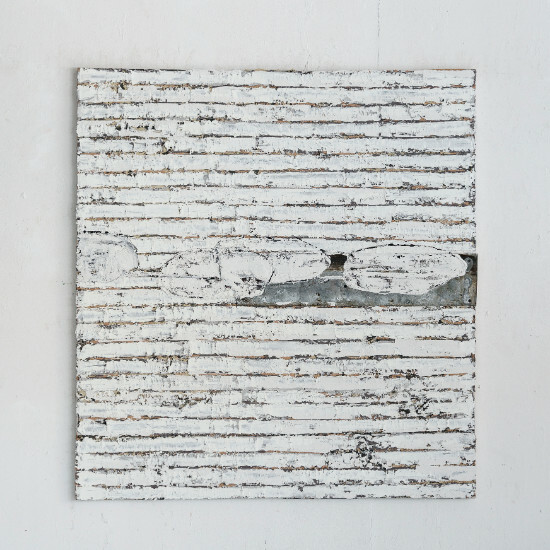 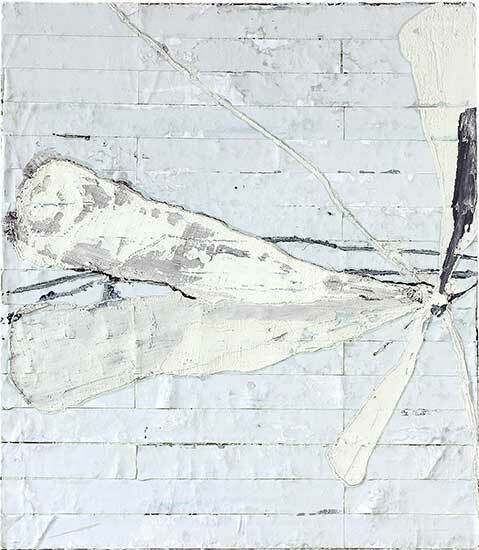 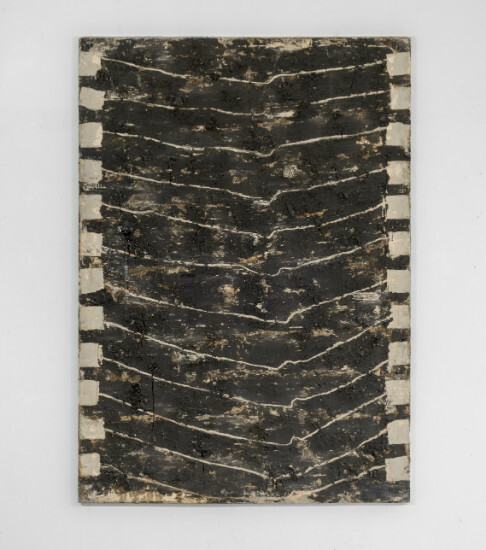 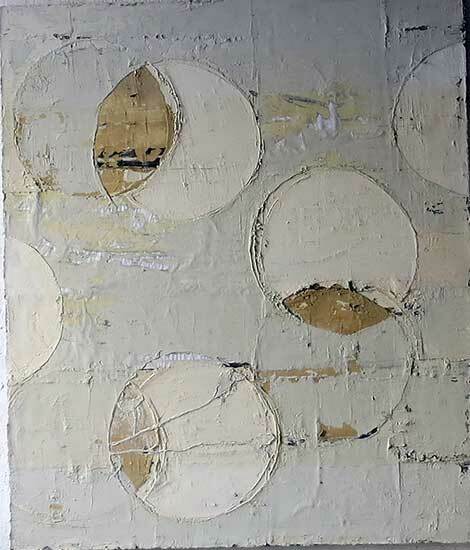 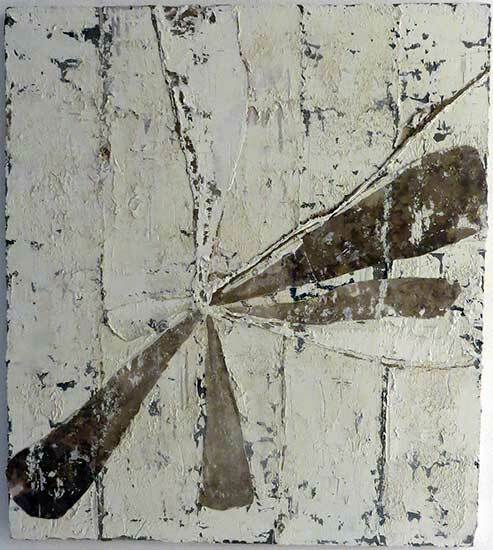 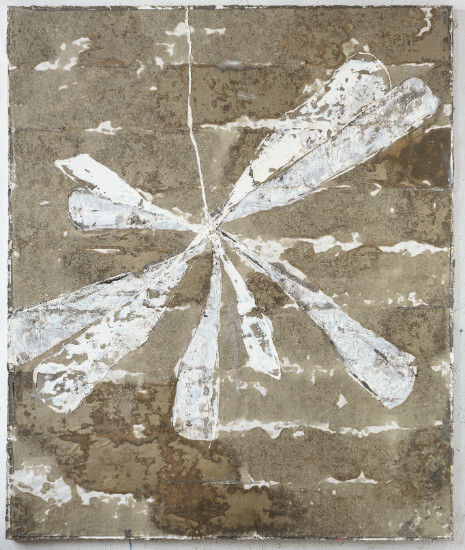 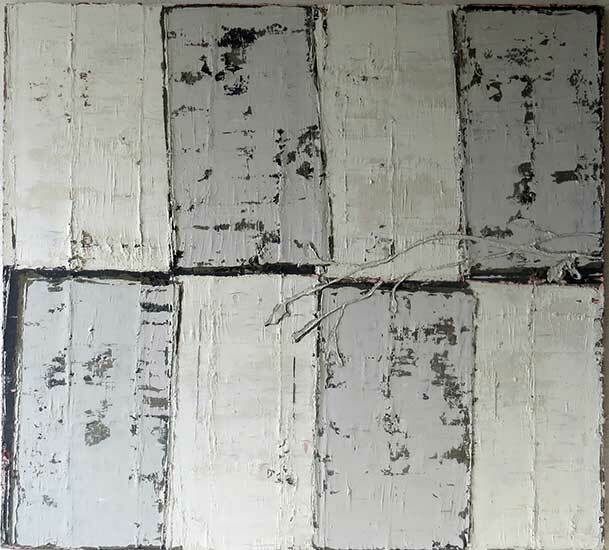 Zinc foil, wood, or oxidized iron: materials Jupp Linssen (*1957, Kempen) makes into integral components of his artworks. 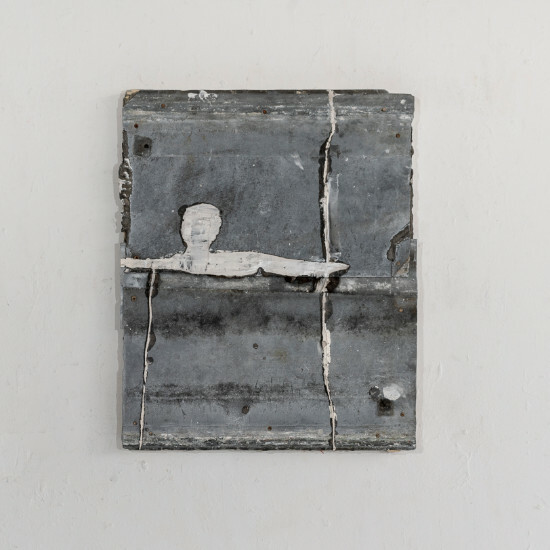 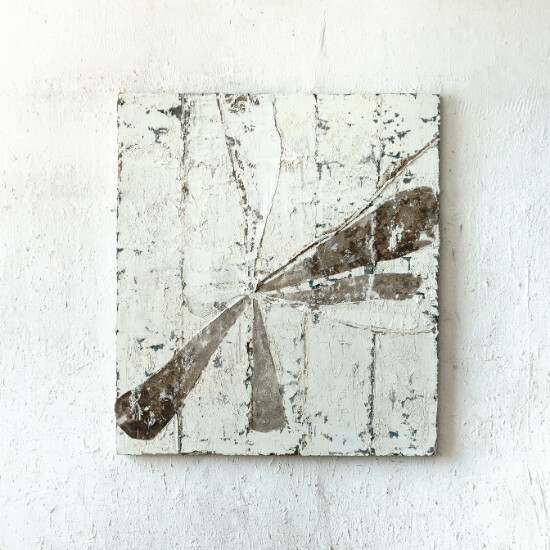 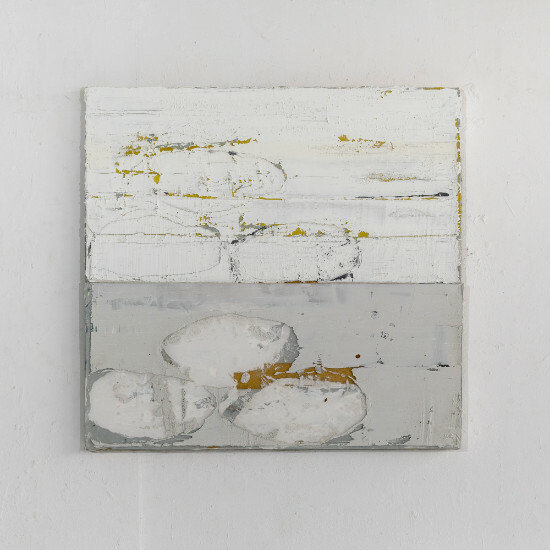 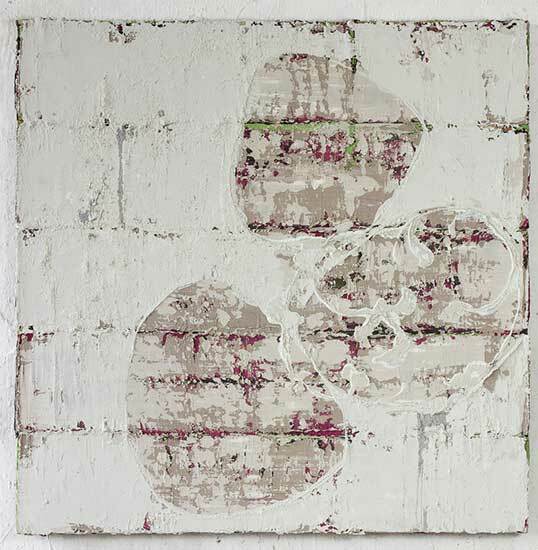 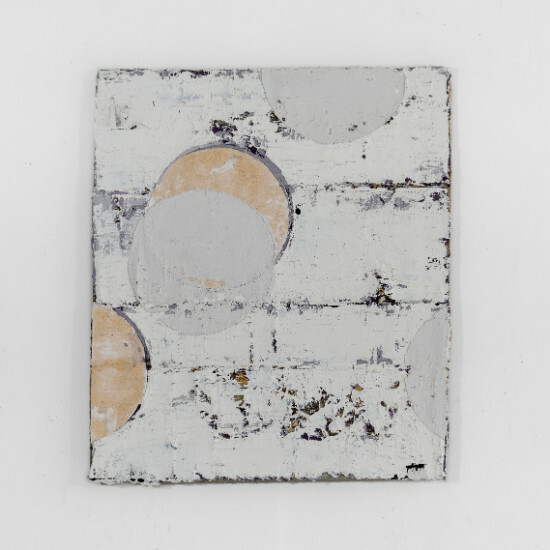 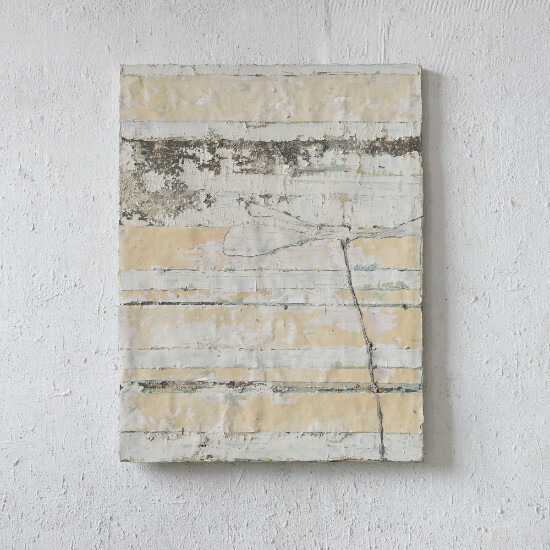 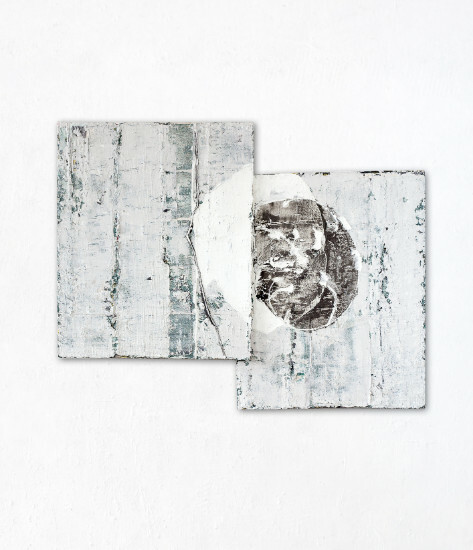 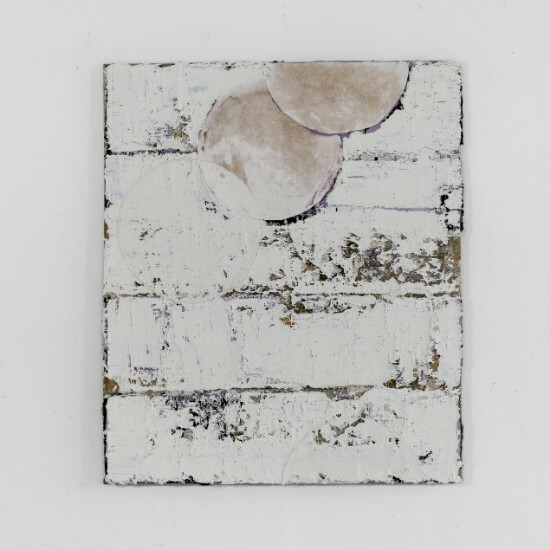 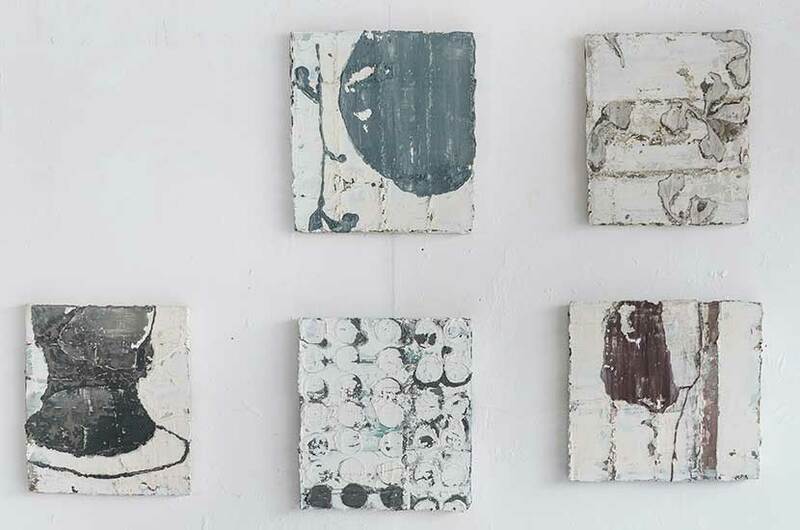 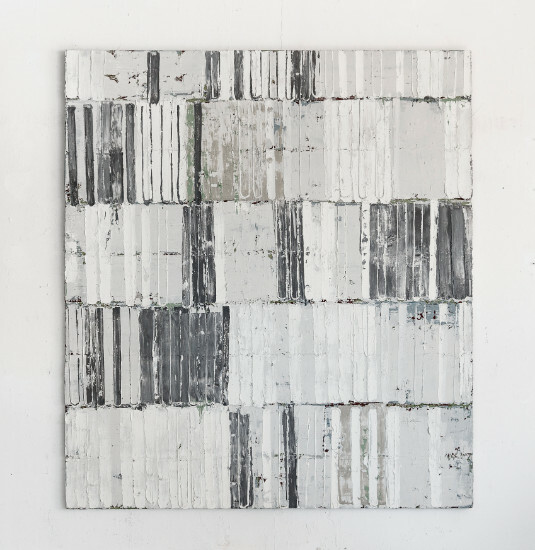 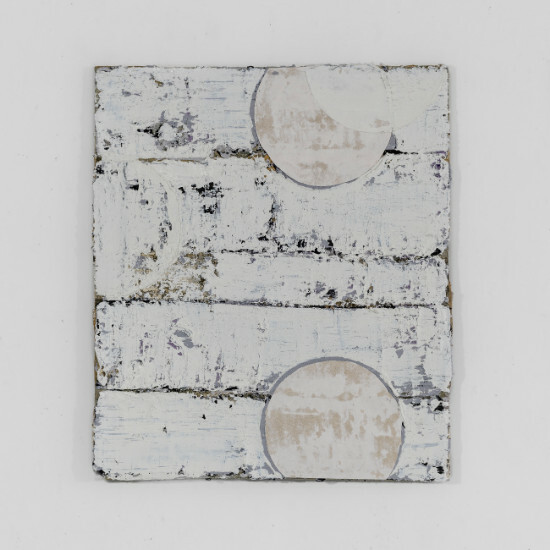 His affinity for found objects is integrated into texture-focused painting – the aesthetic boundaries between the found and the created purposefully lifted. 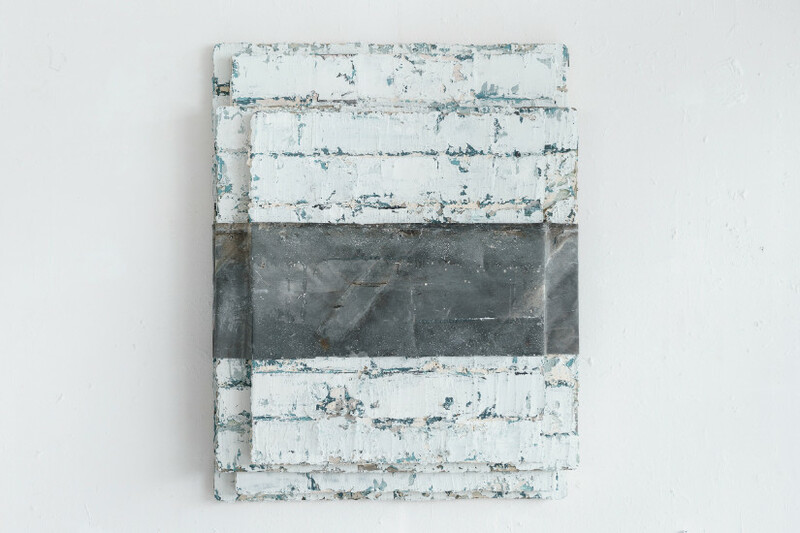 The layered paint leaves a fissured base, where the materials register not as foreign, but as parts constituting the whole. 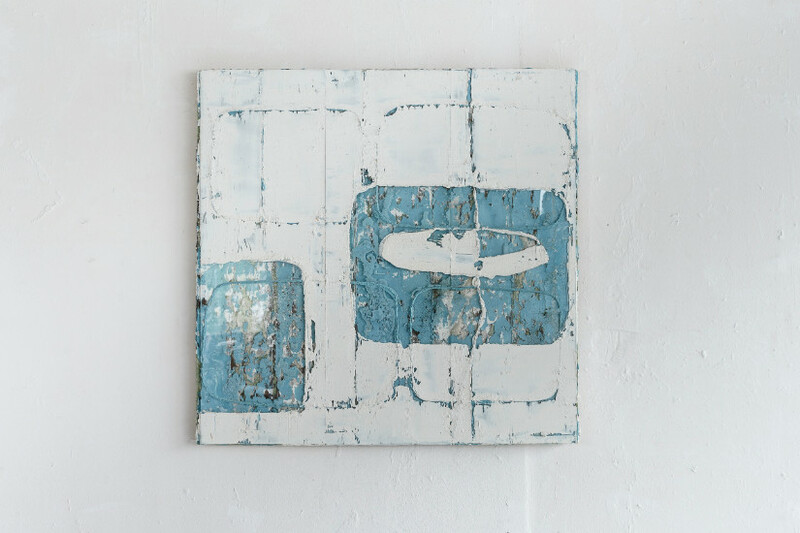 Jupp Linssen’s artwork stands as a counterpoint to soulless artifacts of a mass production driven by technical perfection. 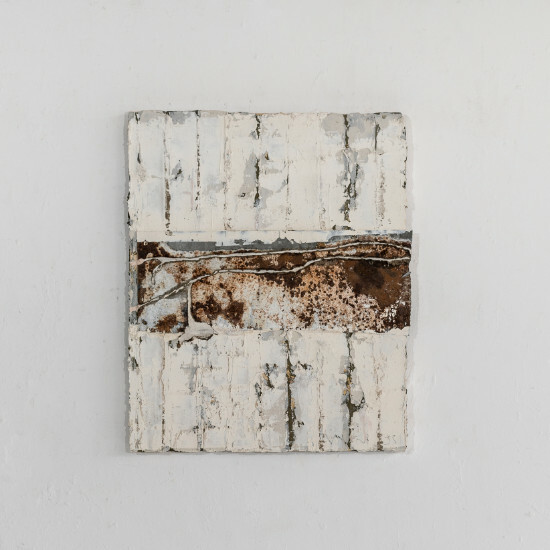 His pieces mirror what our world of fully intact things is missing – breaks, accidents, and inconsistency that we normally hide or push aside.